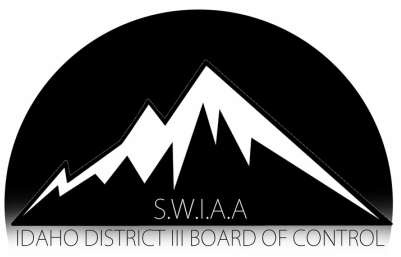 The District Board of Control shall assist in the administration of activities within their respective districts with duties and responsibilities as defined in Article III of the By-laws. One responsibility of the District Board of Control shall be to resolve or decide issues or rule violations within the district. Some rules violations will be under the preview and responsibility of the District Board, and when violations occur, they shall review the alleged violations, hear or examine the facts and issue a decision based upon the evidence, and forward the results to the IHSAA Executive Director. The IHSAA Board of Directors serve as an appeal board. The person or school who is making the complaint shall submit a letter to the District Board of Control or the Executive Director outlining the alleged violation and any facts relative to the violation. Letters sent to the Executive Director will be forwarded to the District Secretary so appropriate action may be taken by the District Board. All violations whether they are written and substained with the facts, or if the information is presented anonymously should be investigated. The allegations should be submitted to the principal of the school named in the violation so that he/she may respond or provide evidence or information in their behalf. If the charges are not denied and/or dropped, then a hearing process should be afforded by the District Board, and all parties involved in the issue should be notified and be given an opportunity to present their side of the issue. Each rule violation should be handled on an individual basis and judged on the merits of the alleged violation. Penalties that are the result of school personnel must be levied against the member school and not against a coach, student, or support personnel. Penalties for rule violations should be levied according to the severity of the case, which could include the following: fines, suspensions, forfeiture of games, probation, and a letter of reprimand. Any member school aggrieved by a penalty assessed by the District Board of Control should be granted a reconsideration if so requested. The Board should then make its decision, notify the parties in writing of its decision and send a copy to the Executive Director.